Medical Marijuana, Inc. would like to share our appreciation for all those families who use our CBD products for giving us an important reason to do what we do each day. Ten years ago, Medical Marijuana, Inc. began our journey, setting out to positively change the world by providing hemp-derived CBD products for consumers throughout the U.S. and around the world. Along the way, we made it our mission to champion access to CBD for those who could benefit most, including special needs families. These families include mothers and fathers who made enormous sacrifices to ensure their children could get CBD, even if it meant fighting for the right to do so. These families spent long nights educating themselves on CBD and researching doctors that would be supportive of their choice to pursue CBD. They had to overcome the negative stigma tied to cannabis, even hemp, and withstand judgement for their decision to use CBD, even from those close to them. In some cases, they had to challenge their national governments for the ability to even access CBD. But they did these things because they knew what they were doing was right. Without these brave, heroic families, the CBD and medical cannabis movement simply would not be where it is today. As part of our 10th anniversary celebration, we’d like to acknowledge a few specific families who we’ve had the honor of working closely with over the years. We’d also like to give our most sincere thank you to all the other families out there who have helped this movement progress. ). Harper’s mother Penny would quickly become an advocate for CBD, speaking out about her family’s experience with CBD, sharing their experience with others in similar situations, and raising funding for neurological research. Much of this work has been done through the family’s organization Hope4Harper, the Run4Hope annual event, and Penny’s speaking engagements. Sadly, Harper passed before her 6th birthday, but her contributions continue as her donated tissue is currently being used by UCSD to research neurological conditions. Since then, Penny has appeared on Fox News’ Dr. Manny and Fox 5 News. She has also spoken at events like the Cannabis World Congress & Business Expo in Boston and New York, the World Medical Cannabis Conference & Expo, MoneyShow Dallas, and more. The Howard’s story and experience with CBD caught the attention of the Fischer family over 5000 miles away in Brazil. 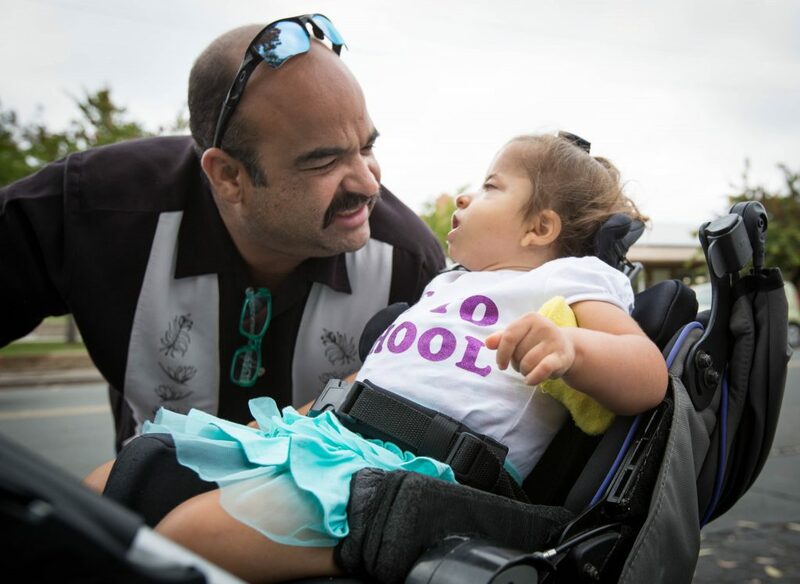 Katiele and Norberto Fischer learned about CBD from reading about Harper’s experience from the family’s Facebook page and decided that they wanted to try CBD for their own daughter, Anny. They would go on to fight the Brazilian government in the courts and win the right to access CBD products from Medical Marijuana, Inc. for their daughter. The family’s fight would kickoff a class action lawsuit that would ultimately lead to CBD becoming a prescription product for Brazilians in need. This story was featured in the documentary Ilegal. The Fischer family and the Howard family finally had the chance to meet face to face last October. It was a tearful first meeting for these two families who share a common experience. Anny’s father Norberto has since partnered with Medical Marijuana, Inc. subsidiary HempMeds® Brasil as a spokesperson. You can learn more about Norberto, Katiele, and Anny’s story here. for his daughter Grace. His historic fight would help push forward cannabis reform in the country. Raul would go on to become a leader in the push for medical cannabis in Mexico and a globally-respected CBD advocate garnering an invitation to speak before the World Health Organization. The family has shared their story and worked to help families similar to their own through the Por Grace Foundation. Through grassroots campaigns and legal challenges to their governments, these parents took on the challenge of securing access to CBD hemp oil products for their families, and in doing so, inspired local, national, and global cannabis policy reform. These parents could have been content to focus on their own special needs families, but instead, they all worked to positively impact the lives of families like theirs. Members of these families have gone on to speak before national governments, World Health Organization officials, doctors and other health professionals, and families like their own. These champions of CBD access have positively impacted the lives of thousands of CBD patients around the world. Medical Marijuana, Inc. gives back to families and patients like these through donations to ECHO Connection, our official charitable partner. Through our support with ECHO Connection, over 100 families have been able to find the assistance they need. During our 10th Anniversary celebration, Medical Marijuana, Inc. would like to thank those families and individuals that continue to remind us of why we do what we do each day. This milestone wouldn’t mean as much without knowing that we’ve been able to improve the quality of life of patients around the world. You can learn more about Medical Marijuana, Inc.’s first ten years and our biggest achievements from our first decade here. The post Thank You to Our CBD Families appeared first on Medical Marijuana, Inc..